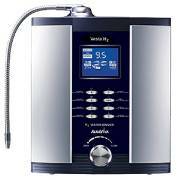 Alkaviva has long been recognized as the world leader in the innovation and manufacturing of water purifying systems for over 25 years. 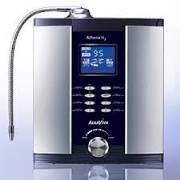 The recent Announcement of the H2 Series furthers AlkaViva's pre-eminence in the Industry. Many years of experience and research have shown that a steady high power to the water cell is not fully effective in producing hydrogen in the water and puts much wear on the cell. The new features of the H2 series makes for better water, increased hydrogen, better -ORP and cell longevity. Please call and we’ll gladly assist you in determining the best solution for your needs.